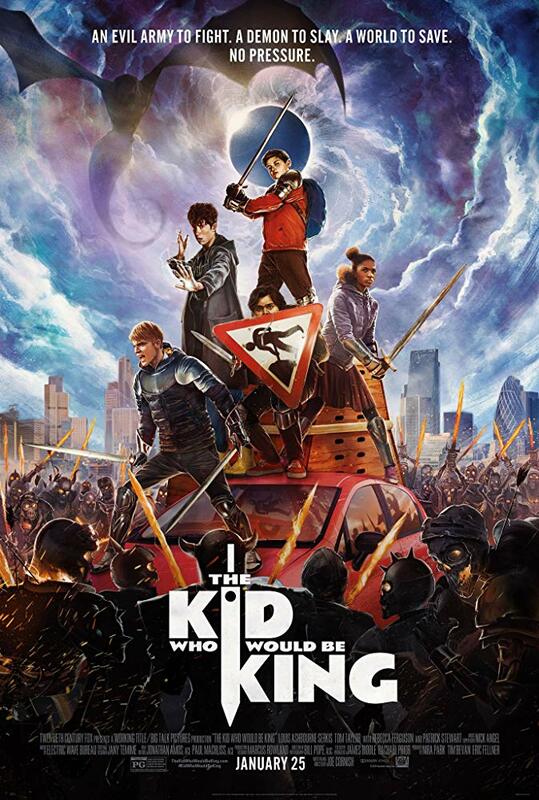 Movie: "The Kid Who Would Be King"
One evening while fleeing his school bullies, a young boy named Alex discovers a sword embedded in stone at a construction site. He pulls the sword, which happens to be the legendary Excalibur, out of its encasement and takes it home. After being visited by Merlin, he learns he must unite his friends and his foes to face off against the danger that awaits them all: the evil sorceress Morgana. We really hope there isn't any beaver urine in our vanilla ice cream!! "The Kid Who Would Be King" is written and directed by Joe Cornish, who worked on the screenplays for films like "The Adventures of Tintin" and "Ant-Man," and directed the cult classic "Attack the Block." 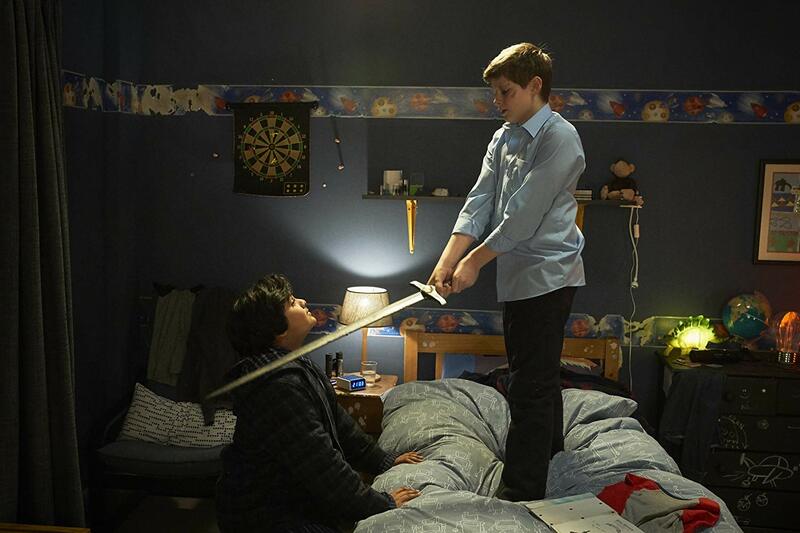 This story puts a modern spin on the legend of King Arthur and centers on a young boy named Alex (Louis Ashbourne Serkis). After trying to save his best friend Bedders (Dean Chaumoo) from their school bullies, Lance (Tom Taylor) and Kay (Rhianna Dorris), they turn their attention towards Alex. After school, these tormentors chase after Alex, who tries to hide in a construction site. There, he finds a sword embedded in a concrete pillar. He pulls it out, not knowing that it is actually the legendary sword Excalibur. The next morning, Merlin (Angus Imire/Patrick Stewart) arrives to tell Alex of the impending danger that awaits all of humanity. With the world in a divided state, the sorceress Morgana (Rebecca Ferguson) has arisen. She wants the sword so she can use it to rule the world, and now, it's up to Alex to unite friends and enemies alike to fight the impending evil. Truth be told, we weren't expecting much from "The Kid Who Would Be King." The King Arthur angle has been overdone throughout cinematic history, and the trailer for this movie looked pretty lame and didn't grab us. The only chance it had for it being a success was writer/director Joe Cornish's involvement. His past works have almost always impressed us, especially "Attack the Block," which was an underseen but fantastic, funny, imaginative little flick that launched the career of John Boyega. 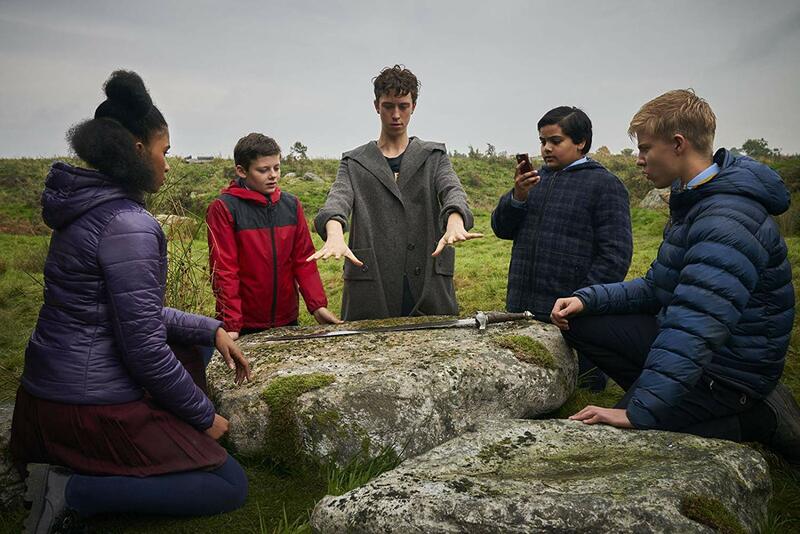 We are thrilled to say that "The Kid Who Would Be King" follows suit and is a wonderful and wondrous fantasy family adventure film. It has humor, action, excitement, a little bit of terror, impressive special effects, excellent makeup work, and tons of heart, which is just about everything you could want from an adventure flick like this. Starring a cast of relatively new teenaged actors, we adored each and every one of the four main kid characters for different reasons and appreciate the arcs they experience throughout the film. Louis Ashbourne Serkis is so wonderful as Alex. He is such an adorable, endlessly charismatic kid, but he's also capable of giving an uplifting, impassioned speech when he needs to. Dean Chaumoo is the perfect, lovable, goofy, helpful sidekick. Tom Taylor and Rhianna Dorris are both excellent as two bullies-turned-allies who have to learn to compromise for the greater good. Much of the humor comes from Angus Imrie as Merlin. He gets to work through a hilarious fish-out-of-water scenario that had us laughing the entire movie. We hope Imrie lands more roles in the future because he has a strange-but-amazing on-screen presence. It turns out, January is a sweet spot for outstanding family films from the UK. Last year, we got "Paddington 2," and this year, we got "The Kid Who Would Be King." We hope that trend continues so we can actually have something to look forward when it comes to new January releases. We love the modern twist Joe Cornish has made on this oft-told story and think it worked out in his favor. He has created some interesting, fun, semi-frightful situations, and the film never talks down to the kids in the crowd. Do yourself a favor and see this movie, no matter your age!